Due to less than great visibility at Sail Rock today, we made the decision to give Koh Ma a try, as the viz yesterday was 20m and we hoped it would be the same today. Unfortunately the viz wasn't as good as yesterday, but we still managed to see some fantastic stuff. The viz didn't make taking photos very easy, but some of them came out ok!! 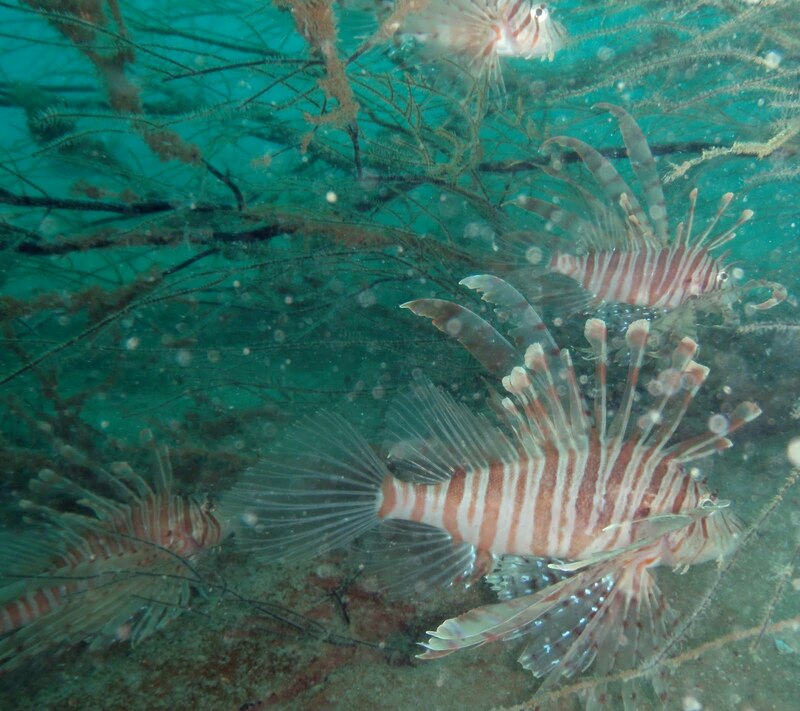 Hiding in the branches of a bush like soft coral at around 18m was a group of five Lion Fish. All five of the Lion Fish were fairly small and they were more than likely hiding out for protection until they are bigger. Considering there are only around 3 or 4 Lion Fish on all the other dive sites we regularly visit, a group of 5 together is pretty amazing here!! 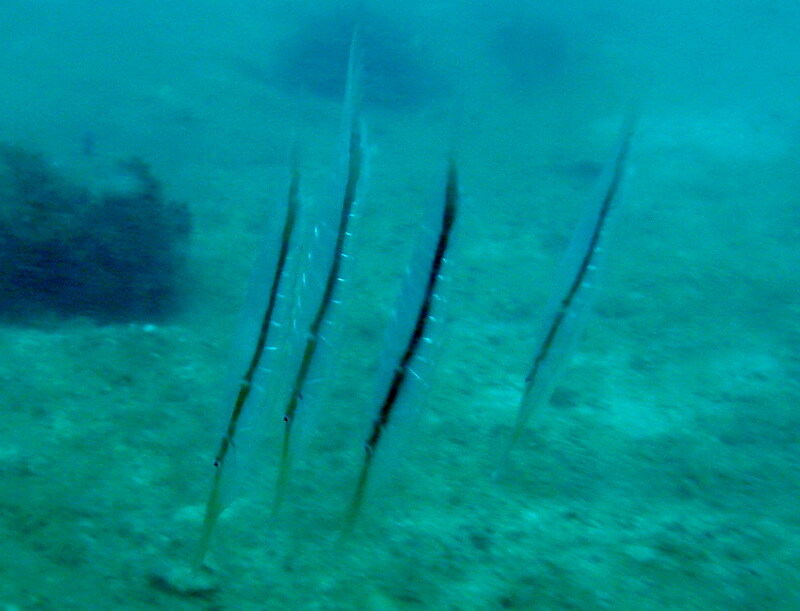 The group of four Razor Fish were among many that we saw out in the sand, also around 18m, and again there are only two other sites out here that I have seen Razor Fish before. 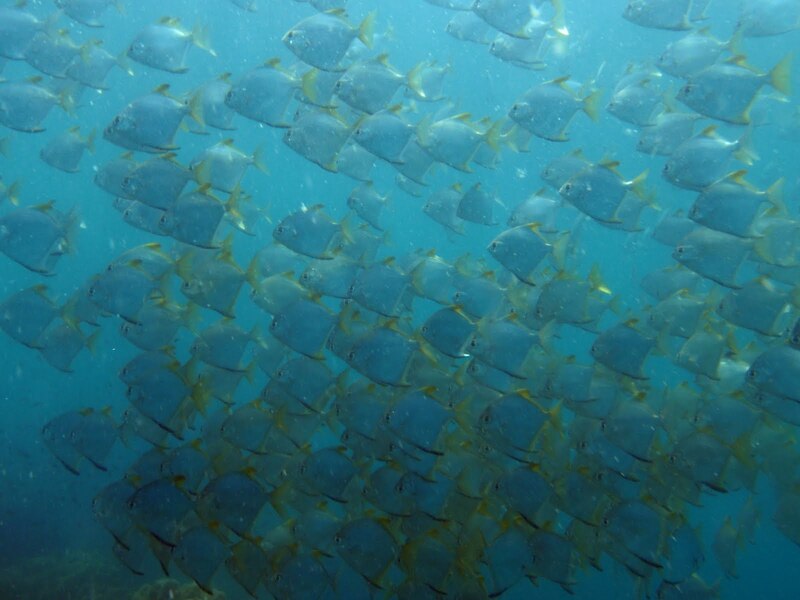 Hanging out below the boat at about 4m was this fantastic school of Batfish, different to the ones we usually get to see around Koh Tao and Sail Rock. 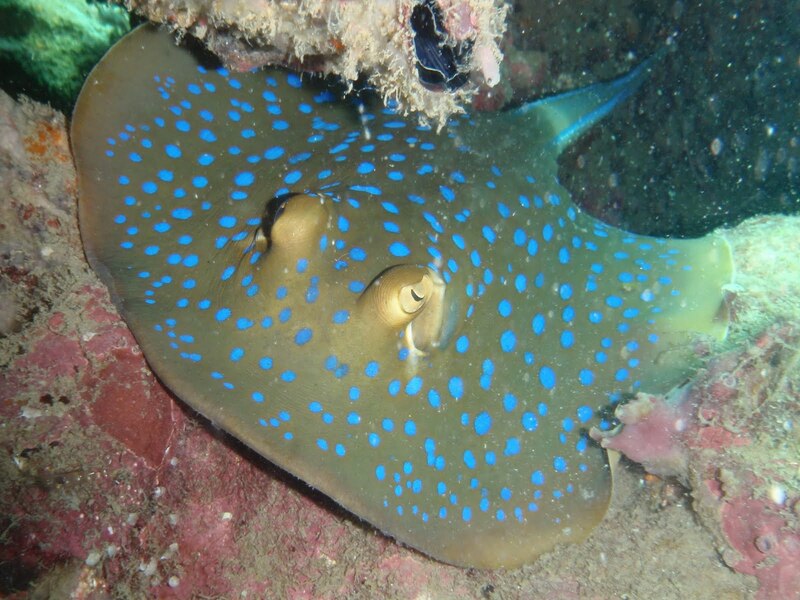 And although nothing new for us to see, this Blue Spotted Sting Ray was happily sitting in the open on a rock. 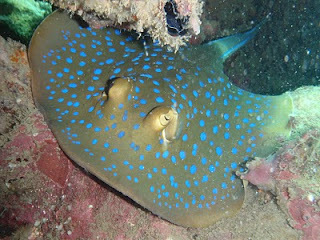 Despite viz of around 5m we had a great dive and it was brilliant to see stuff that we don't usually see.